Baby boomers those born in the U.S. between 1946 and 1964 are the largest demographic in the housing market today (over 76 million strong), and the types of housing and special design features they want in their homes are growing in popularity with many builders across the country. Technology: Tech-savvy boomers want to stay in touch with family, work from home, maintain home security, and even automate for added convenience. They want homes with built-in technology, home security systems, and wireless home networks. More natural lighting: As innovative new window designs make it easier to bring more natural light into the home without sacrificing heat efficiency, baby boomers are looking for homes with these larger windows, skylights, and sliding glass doors. Ease of access: Spacious rooms, wider doorways, and roomier halls make a home pleasant and less cluttered, but also will lend themselves to easier navigation and access for seniors with decreased mobility. Large master bedrooms and bathrooms: Empty-nesters are looking for homes primarily designed for individuals and couples. 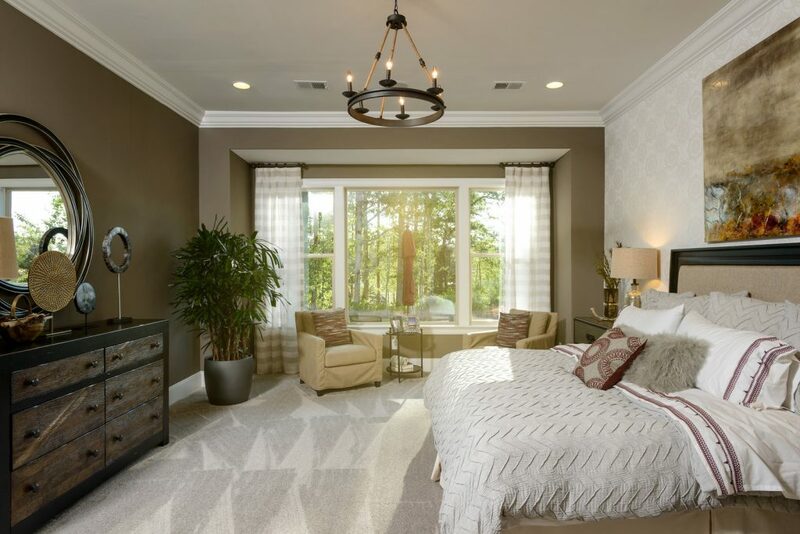 Instead of a big living room, dining room, and family room, many home designs for baby boomers include spacious first-floor master suites with attached master baths. Less maintenance and upkeep: Many retiring baby boomers are looking for condominiums or townhomes that require less maintenance and come with conveniences such as on-site security, recreation, and fitness facilities. There are many features that can make a home more livable for seniors and more appealing to empty-nesters in the baby boomer generation. These and other universal design features may make your next home just what you have been looking for. We have noticed more boomers are choosing upstairs bonus rooms options rather than more expensive finished basements. Sun rooms, screened porches, covered patios and generally outdoors living spaces are becoming more popular. Some of these outdoor living spaces are upgraded with features like outdoor kitchens, water features, swings, and Bar-b-que grills. Larger master bathrooms and closet space are making homes more desirable to boomers. Certainly a home office and desk space in or near the kitchen is becoming more common.